Is it OK to Drink Raspberry Tea While Pregnant? Some herbs used as spices, supplements or to make herbal teas are safe during pregnancy, while others may be dangerous. Raspberry tea made with the fruit of the raspberry plant is perfectly safe. More often, pregnant women drinking "raspberry" tea are actually drinking raspberry leaf tea, sometimes used as a uterine tonic. There are many herbal teas you can drink during pregnancy. Some contain fruits and food-grade herbs, such as ginger and pepper. In general, these are quite safe, because the herbs have long been used during pregnancy and their effects are well known. Other herbs may not be safe when you're pregnant, particularly herbs that aren't food grade, even if they're commonly recommended as alternative treatments. While raspberry tea made from raspberry fruit is perfectly safe, raspberry leaf tea -- recommended by some midwives for use during pregnancy -- isn't as well studied. Some sources suggest that the tea is safe during pregnancy on the basis of the limited studies that have been done, explains the American Pregnancy Association. Other sources are more cautious, suggesting that there isn't enough research to say for sure, according to a 2002 article in the "British Journal of Obstetrics and Gynecology." Midwives suggest raspberry leaf tea for use during pregnancy because it supposedly "tones" the uterus for labor, helping decrease the duration of labor and increase the efficiency of pushing. A 2001 study reported in the "Journal of Midwifery and Women's Health" notes, however, that using raspberry leaf tea didn't affect the duration of the first stage of labor, dilation, and only minimally decreased the duration of the pushing stage. In general, it's best to avoid teas that contain herbs not ordinarily used as foods when you're pregnant. The FDA regulates dietary supplements, including non-food herbs, differently than it regulates foods and pharmaceuticals. Manufacturers of herbal supplements aren't required to provide proof that herbs are safe or effective prior to marketing them to the public. 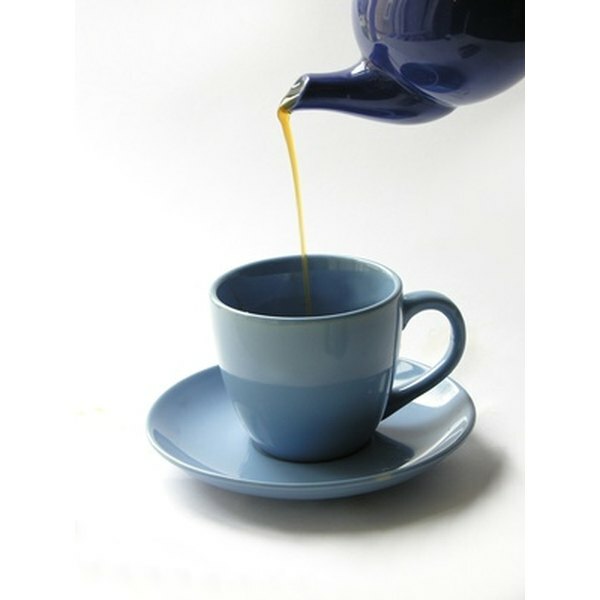 Talk to your obstetrician if you're unsure whether a particular tea is safe during pregnancy.